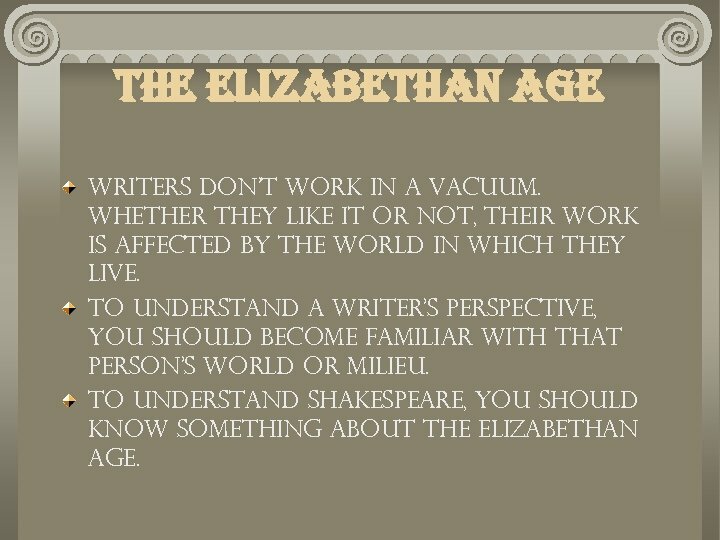 the elizabethan age Writers don't work in a vacuum. Whether they like it or not, their work is affected by the world in which they live. To understand a writer's perspective, you should become familiar with that person's world or milieu. 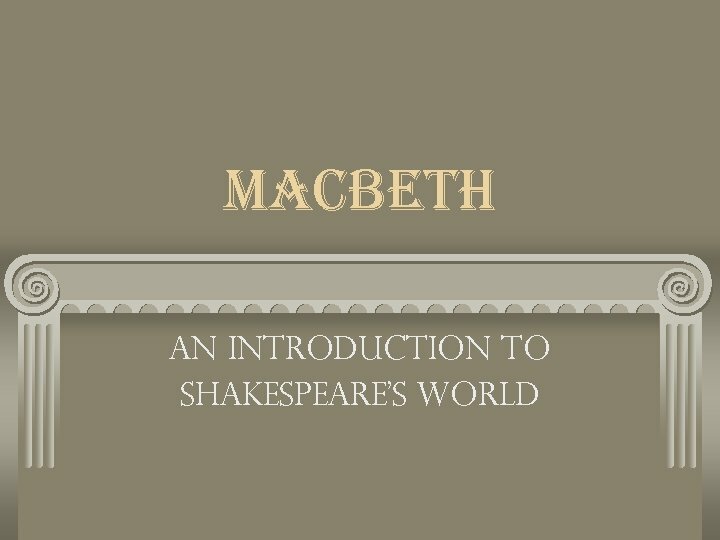 To understand Shakespeare, you should know something about the Elizabethan Age. 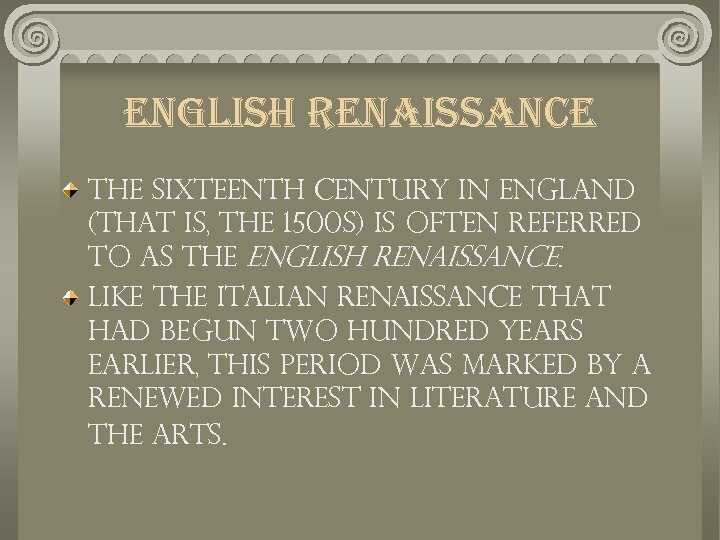 english renaissance The sixteenth century in England (that is, the 1500 s) is often referred to as the English Renaissance. Like the Italian Renaissance that had begun two hundred years earlier, this period was marked by a renewed interest in literature and the arts. Queen elizabeth i From 1558 to 1603, England was ruled by its first female monarch, Queen Elizabeth I, daughter of Henry VIII and his second wife, Anne Boleyn (Henry VIII had six wives). 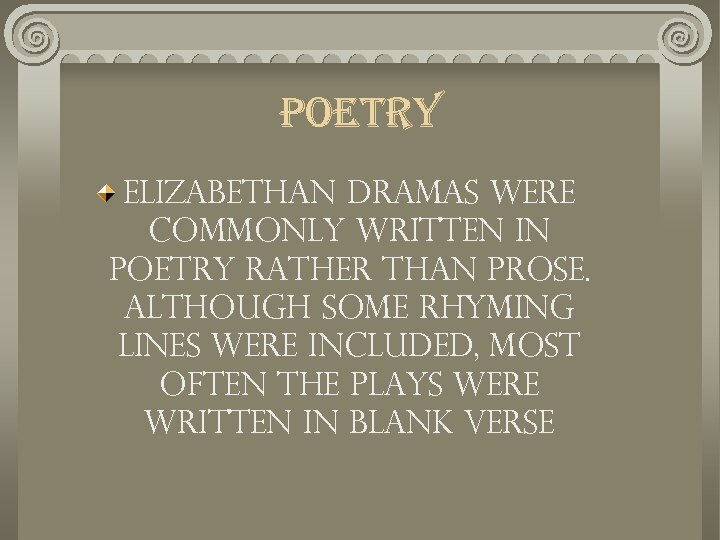 During Elizabeth's reign, England thrived. 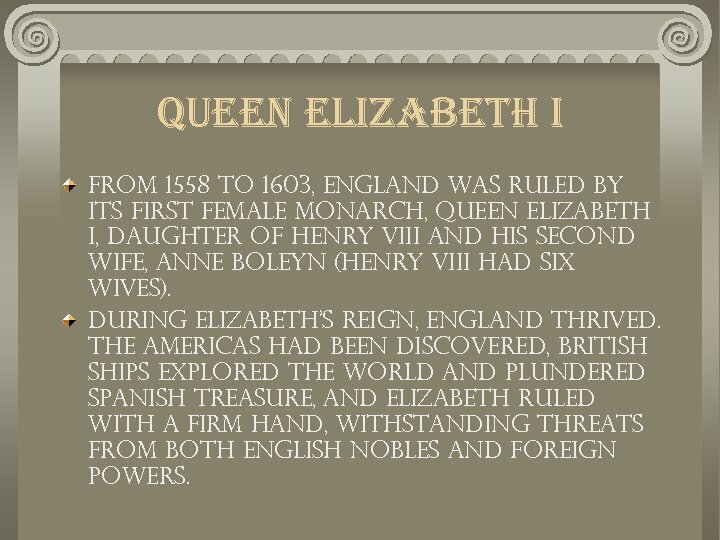 The Americas had been discovered, British ships explored the world and plundered Spanish treasure, and Elizabeth ruled with a firm hand, withstanding threats from both English nobles and foreign powers. 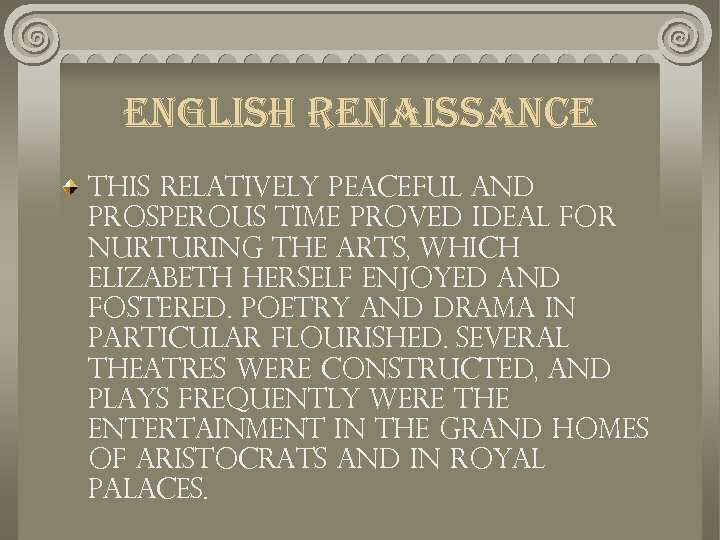 english renaissance This relatively peaceful and prosperous time proved ideal for nurturing the arts, which Elizabeth herself enjoyed and fostered. Poetry and drama in particular flourished. 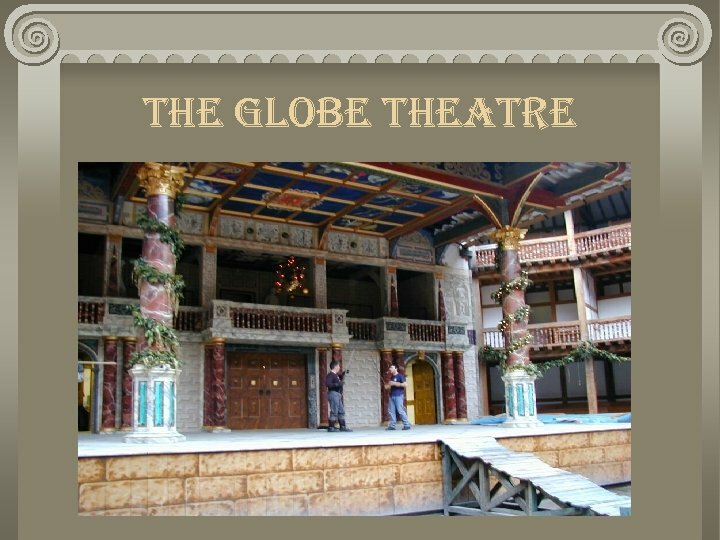 Several theatres were constructed, and plays frequently were the entertainment in the grand homes of aristocrats and in royal palaces. 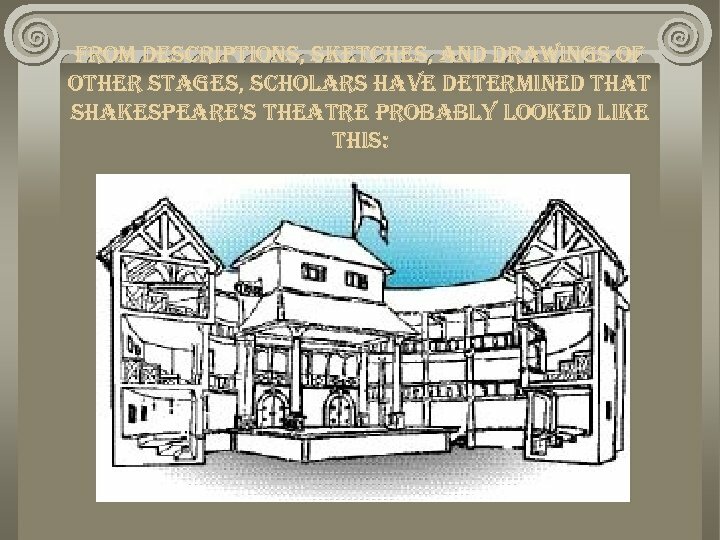 the elizabethan theatre Before Shakespeare's time, troupes of actors moved from town to town putting on their plays whenever they were able to attract an audience. 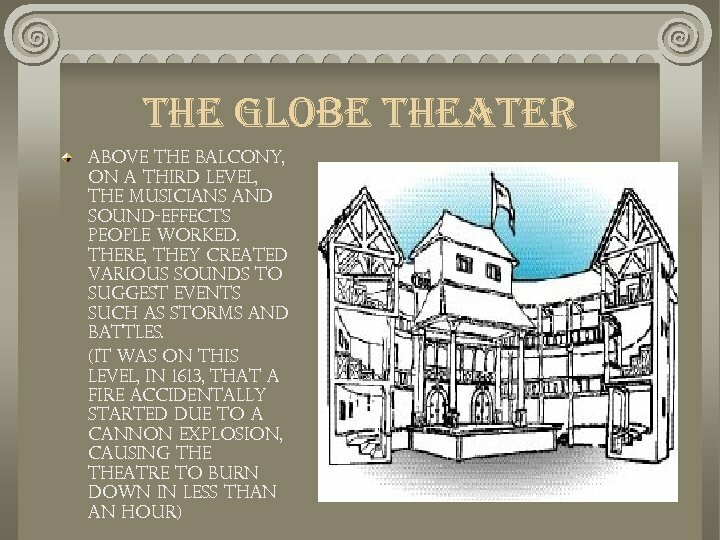 It was during the Elizabethan Age that the first permanent theatres were built. 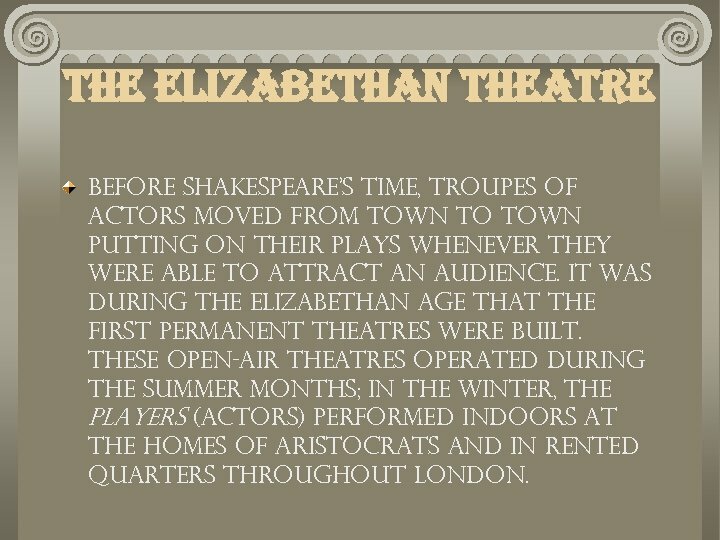 These open-air theatres operated during the summer months; in the winter, the players (actors) performed indoors at the homes of aristocrats and in rented quarters throughout London. 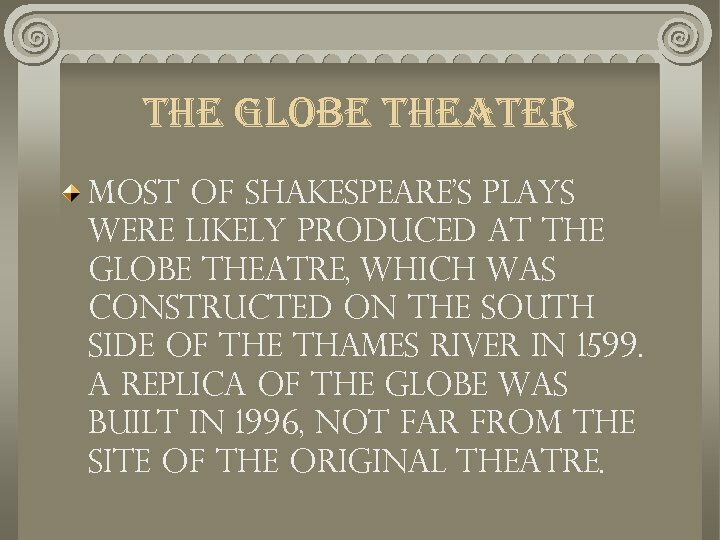 the globe theater Most of Shakespeare's plays were likely produced at the Globe Theatre, which was constructed on the south side of the Thames River in 1599. 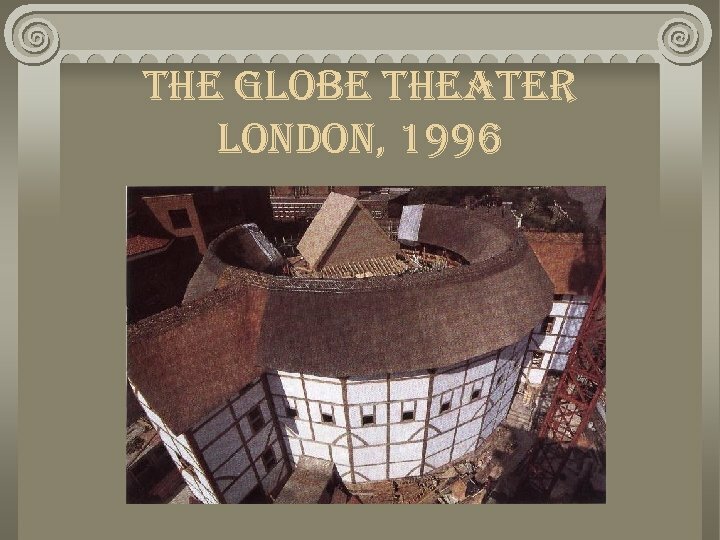 A replica of the Globe was built in 1996, not far from the site of the original theatre. 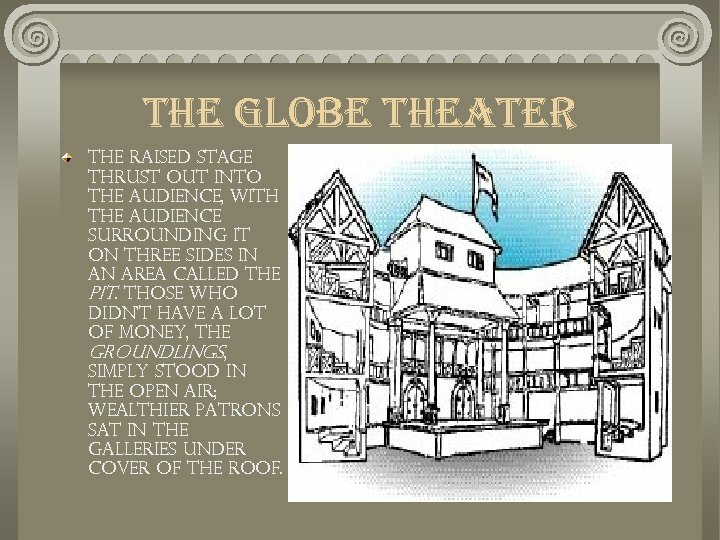 the globe theater The raised stage thrust out into the audience, with the audience surrounding it on three sides in an area called the pit. Those who didn't have a lot of money, the groundlings, simply stood in the open air; wealthier patrons sat in the galleries under cover of the roof. 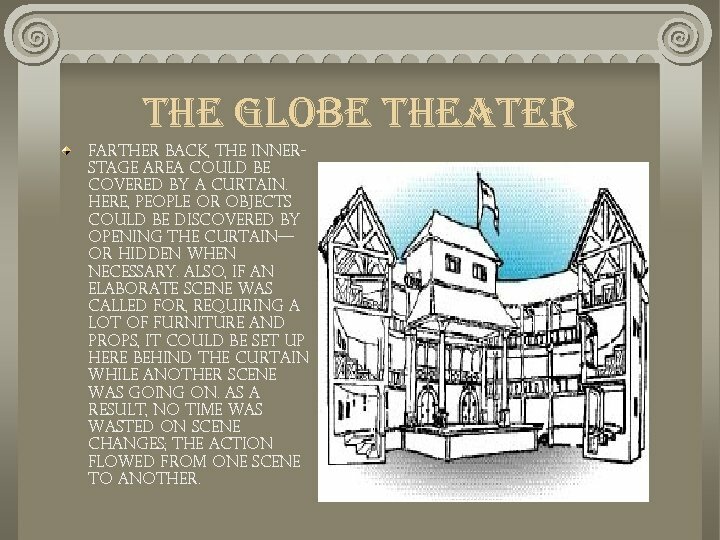 the globe theater Farther back, the innerstage area could be covered by a curtain. 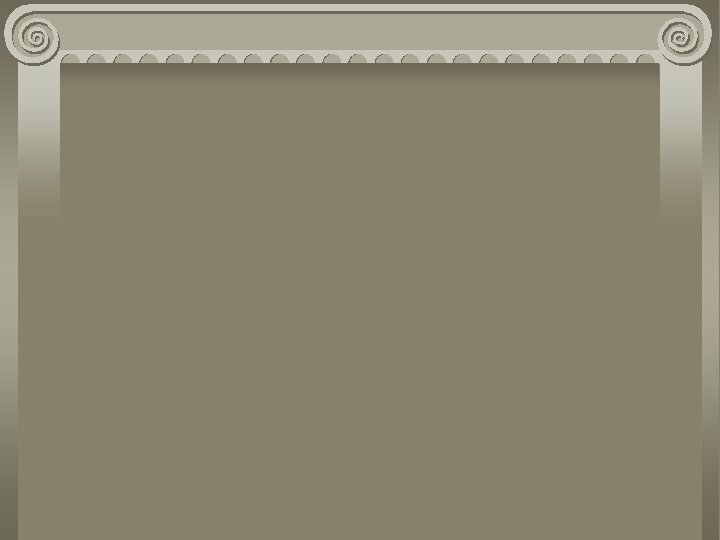 Here, people or objects could be discovered by opening the curtain— or hidden when necessary. Also, if an elaborate scene was called for, requiring a lot of furniture and props, it could be set up here behind the curtain while another scene was going on. As a result, no time wasted on scene changes; the action flowed from one scene to another. 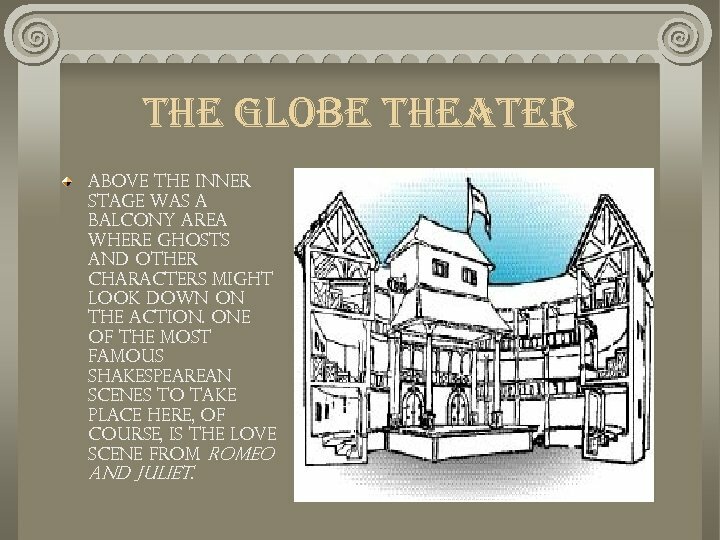 the globe theater Above the inner stage was a balcony area where ghosts and other characters might look down on the action. 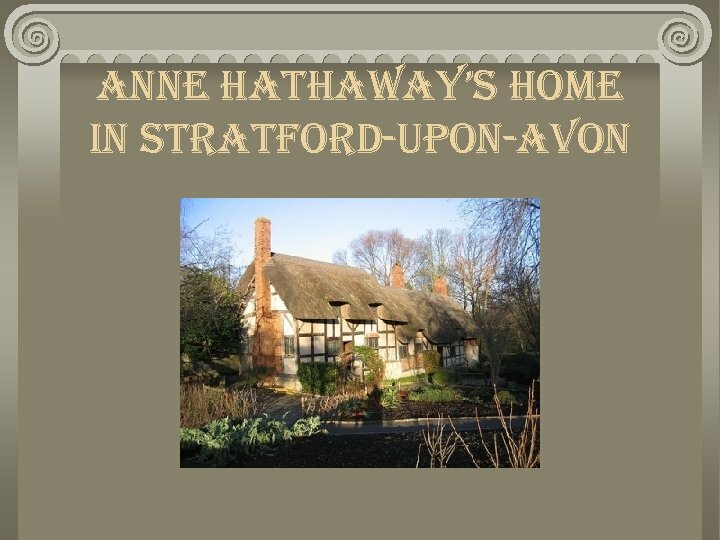 One of the most famous Shakespearean scenes to take place here, of course, is the love scene from Romeo and Juliet. 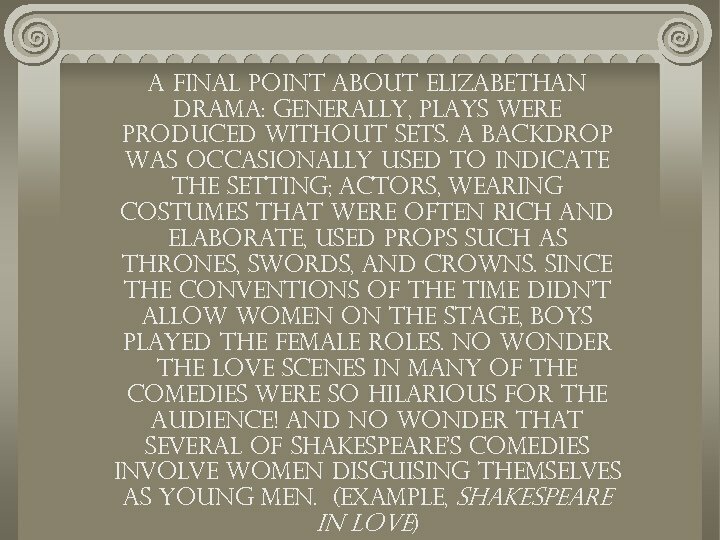 Elizabethan Drama With no television or movies, it's not surprising that people of previous centuries enjoyed live performances, even though Church and civil authorities frequently disapproved of the players and their lifestyles. 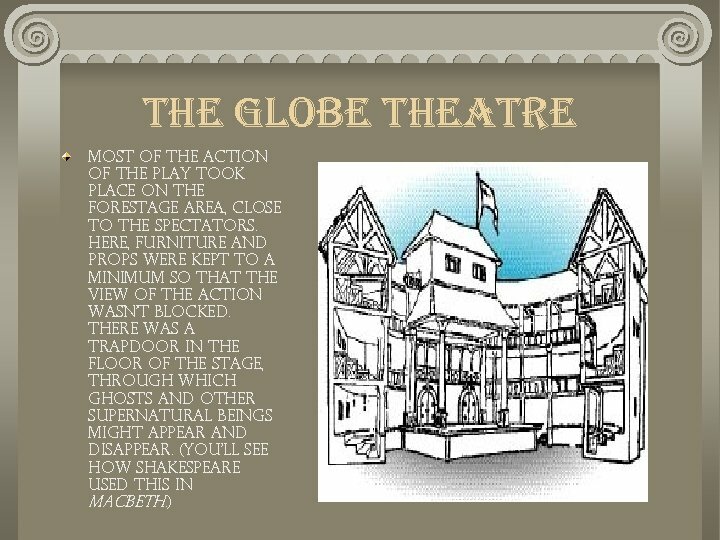 In fact, from 1642 to 1660 in England, theatres were closed because they were thought to be sinful places. 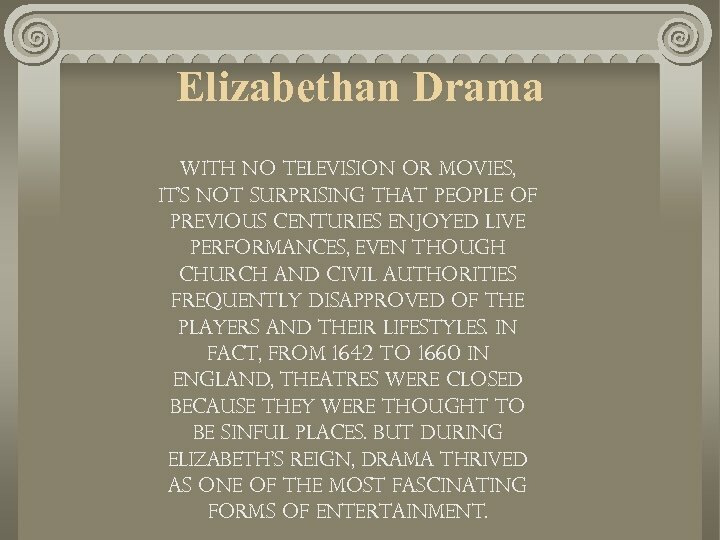 But during Elizabeth's reign, drama thrived as one of the most fascinating forms of entertainment. 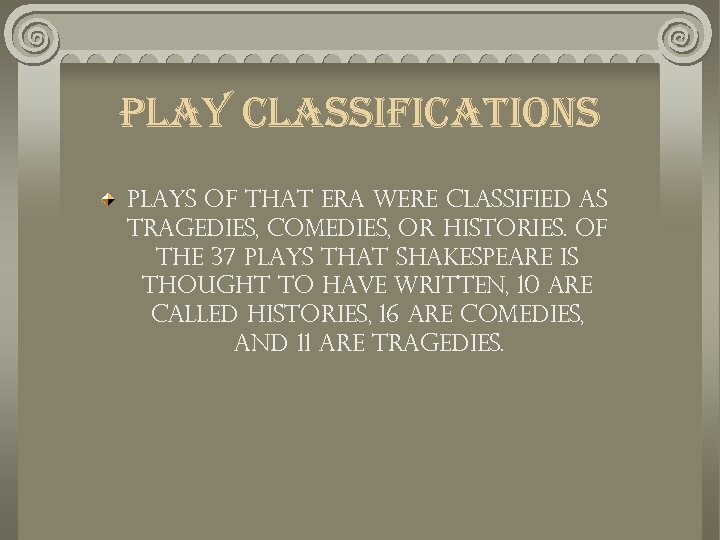 play classifications Plays of that era were classified as tragedies, comedies, or histories. 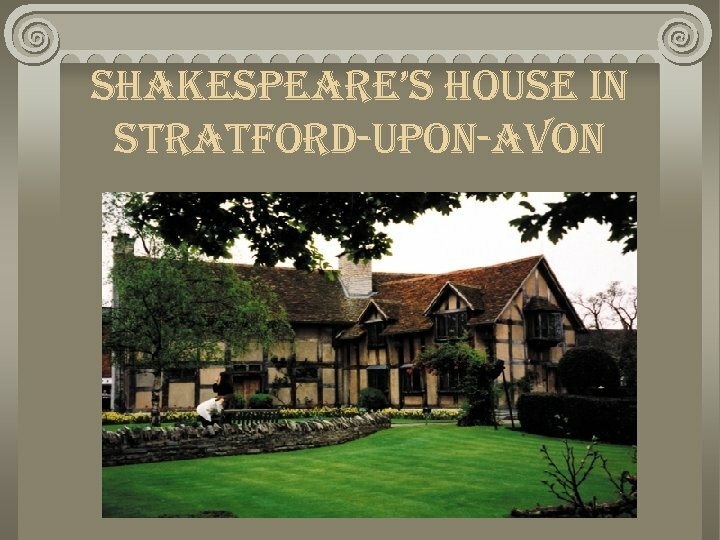 Of the 37 plays that Shakespeare is thought to have written, 10 are called histories, 16 are comedies, and 11 are tragedies. 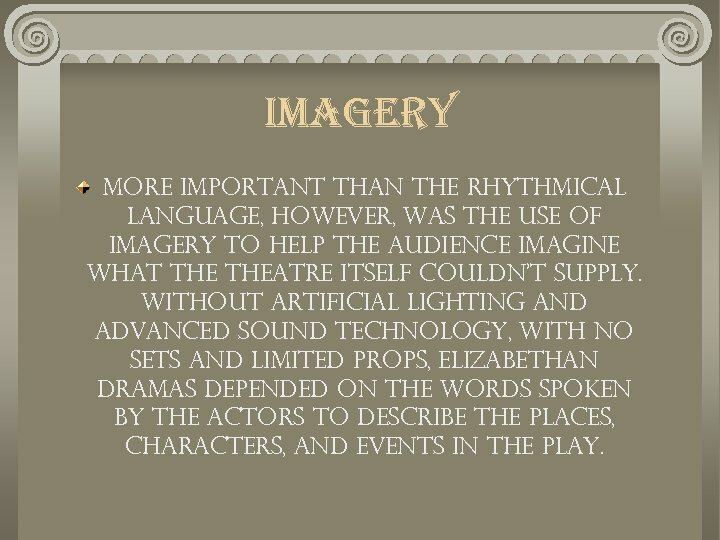 imagery More important than the rhythmical language, however, was the use of imagery to help the audience imagine what theatre itself couldn't supply. 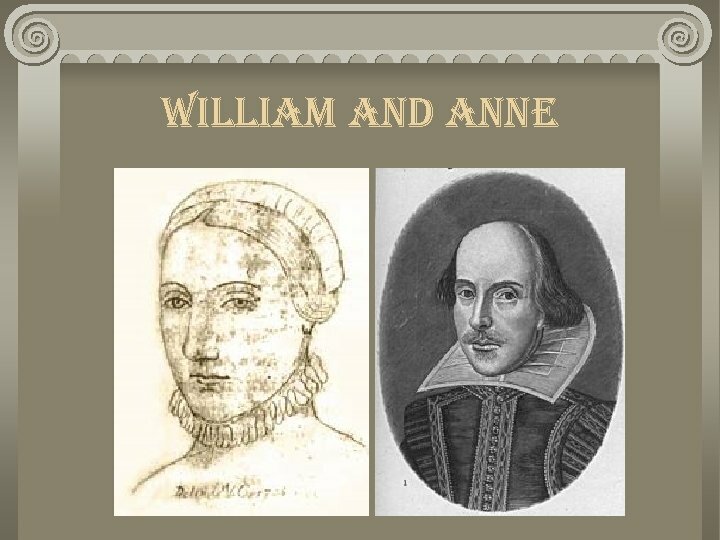 Without artificial lighting and advanced sound technology, with no sets and limited props, Elizabethan dramas depended on the words spoken by the actors to describe the places, characters, and events in the play. macbeth For example, in Act 1, Scene 2 of Macbeth, you can easily visualize the bloody battle scene as a soldier describes it to the king: For brave Macbeth—well he deserves that name— Disdaining fortune, with his brandish'd steel, Which smoked with bloody execution, Like valour's minion carved out his passage Till he faced the slave; Which ne'er shook hands, nor bade farewell to him, Till he unseam'd him from the nave to the chaps, And fix'd his head upon our battlements. stage directions Stage directions were frequently incorporated into speeches to help the audience understand who new characters were or where a new scene took place. 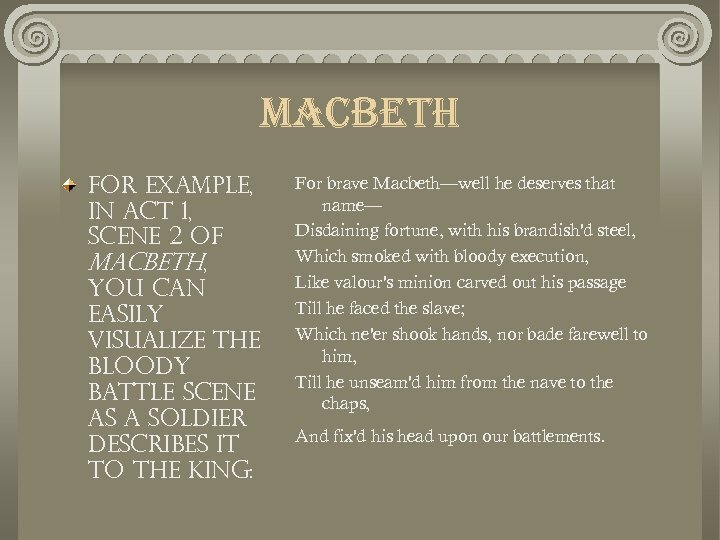 In Act 1, Scene 3 of Macbeth, for example, one of the characters, Banquo, says, "Look, how our partner's rapt, " indicating, in case the audience has missed it, that Macbeth is lost in thought. 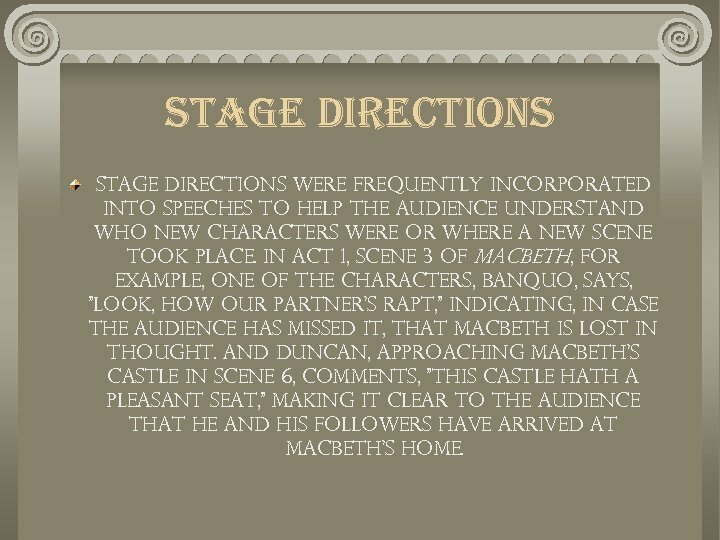 And Duncan, approaching Macbeth's castle in Scene 6, comments, "This castle hath a pleasant seat, " making it clear to the audience that he and his followers have arrived at Macbeth's home.